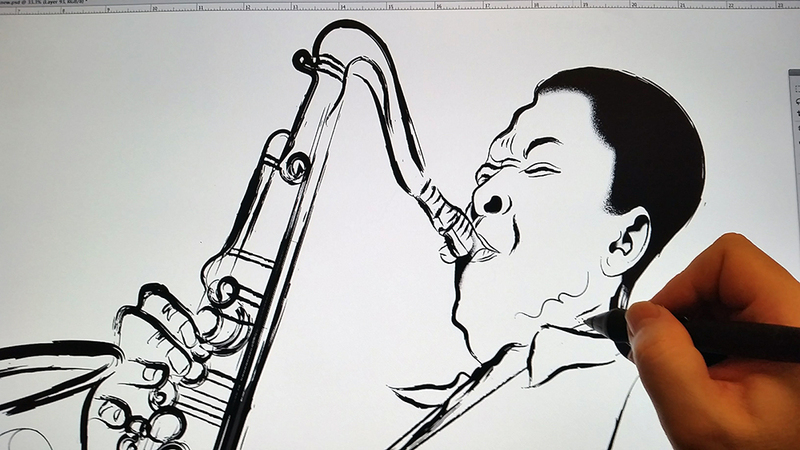 This is the way I’ve been working in COLTRANE, the first giant in my new series of Jazz Icons Posters. 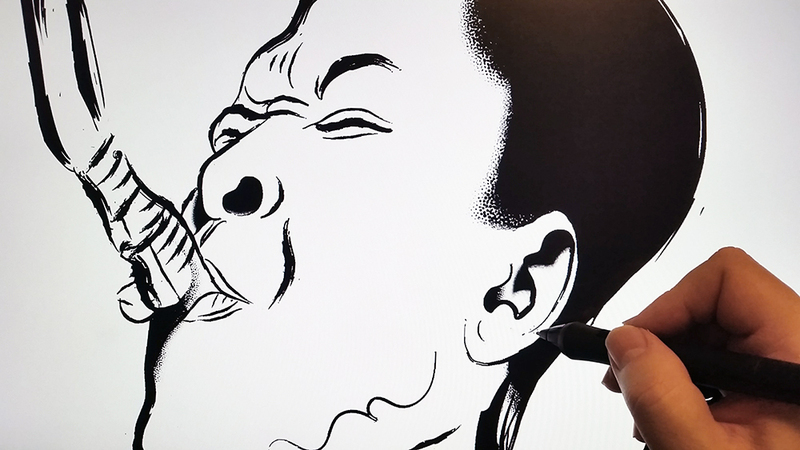 It’s been a pleasure to release my love for the music of Coltrane, the Blue Note era, and the classic illustrations of Jazz covers. 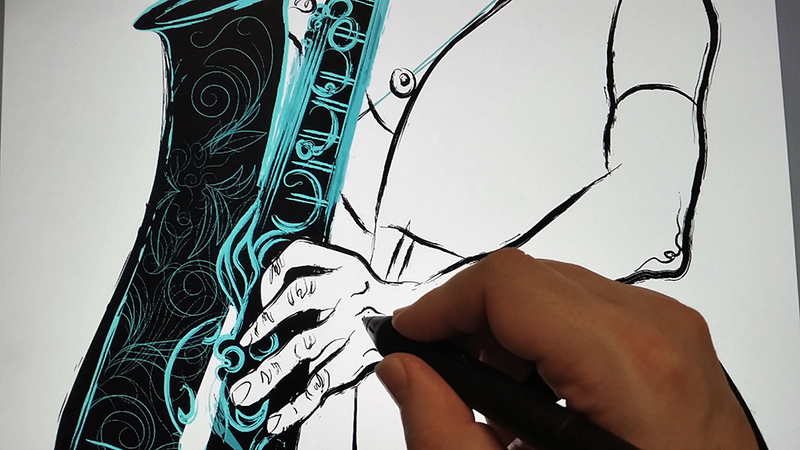 The colors and design are inspired by the album cover the Soultrane album, published in 1958 on Prestige Records. 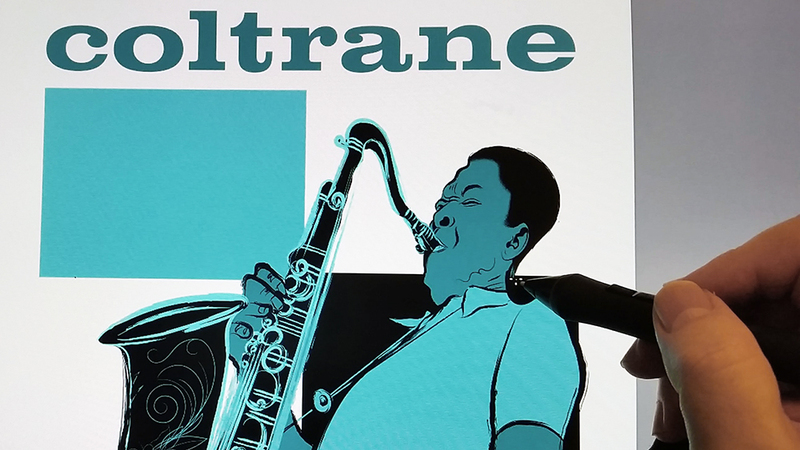 I met John Coltrane’s music in my teenage years, during my first job as a draftsman in a graphic design studio in Madrid, back in the 80s. My boss, Ramon Sanchez, was a Jazz music lover who used to smoke one cigarette after the other and would play jazz classics on the turntable non-stop, day after day. 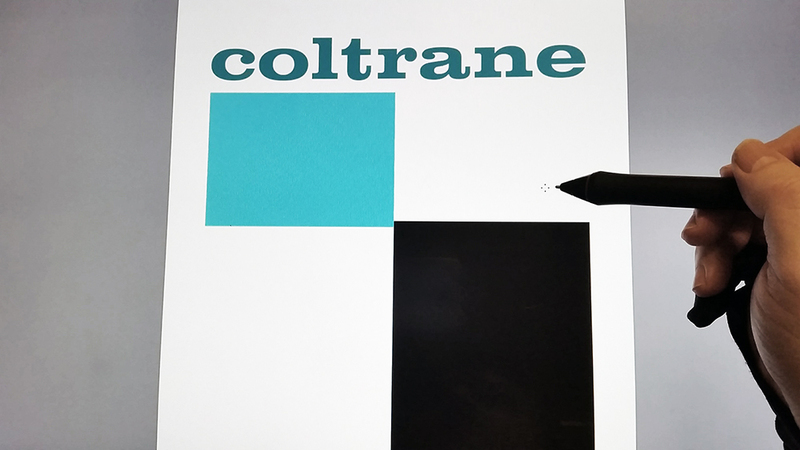 Then, little by little, I started buying Coltrane vinyls, haunted by his Tonal Jazz pieces. 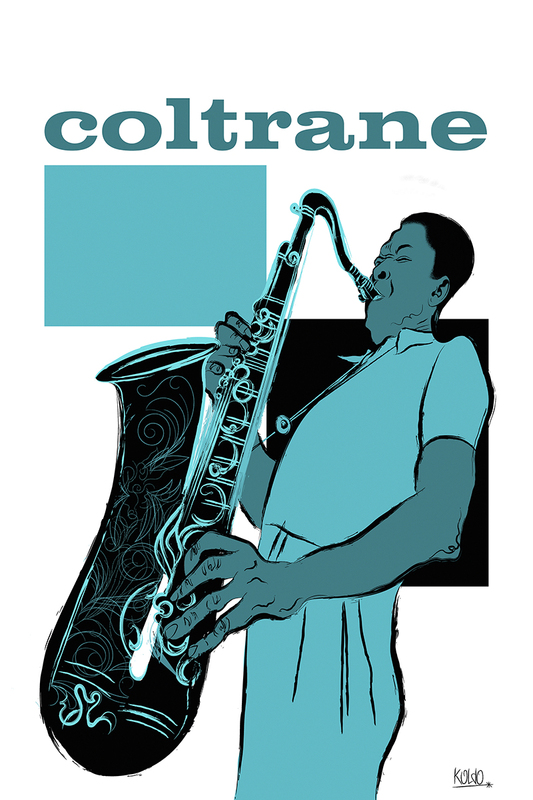 I started reading about his life and eventually fell in love with the stories about Trane and Miles Davis in the Paris jazz clubs of the 50’s. 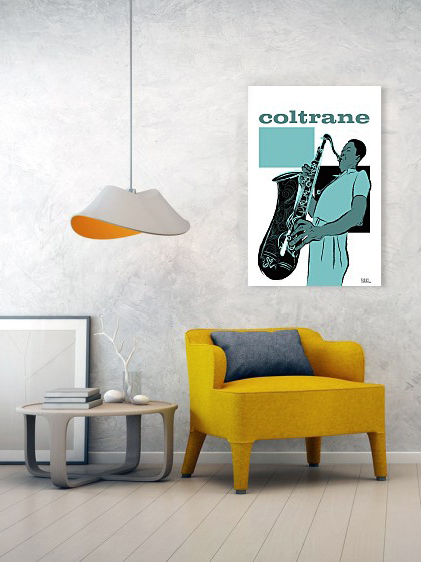 You can now purchase your Coltrane poster in 20″ x 30″ and 24″ x 36″ sizes.